"Point Four English Classes (formerly known) at Shahdokht High School in Shahabad. Audio visual teaching method. 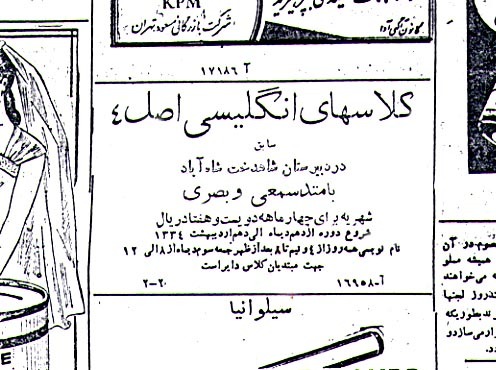 Tuition: 270 rials for four months... " Published in Ettela'at, December 22, 1954.